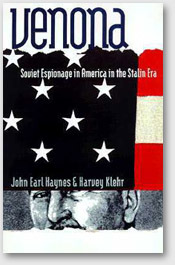 After the exposure of the ‘VENONA files’ which revealed the fact that numerous Russian spies were inside the U.S. government before and after the II World War, the suspicion that Roosevelt government was connected with Soviet Union and Chinese communism is turning into a conviction. Naturally, there has been re-examining of the history view of those days. Moreover, its speed is increasing radically. VENONA files is a record that U.S. army intelligence department received and deciphered the secure communication between Russian spies inside the U.S. and the intelligence department in Moscow. NSA – National Security Agency – exposed it in 1995. Russian　leader Lenin founded Comintern seeking communization of the world in 1919. ‘lost battle revolution’. ’Lost battle revolution’ is a strategy of revolution when the communist party obtains the power through the confusion of the lost battle and war by provoking war between capitalistic nations. In short, it is the strategy to provoke the conflict and cause the war between nations for the sake of Communist revolution, and even bring the defeat of the war to its own nation. What was tragic for Japan was that the focused nations of this strategy was our nation Japan which fought the Russo-Japanese war and the world’s largest nation the United States of America. The most important agenda for Comuntern was to provoke the conflict between the two Capitalistic nations, Japan and the U.S.A. to cause the war between those two nations. In 1920, Lenin actually advocated that we should resist Japan , and provoke the conflict between Japan and the U.S. A., taking advantage of the U.S.A. in order to promote communization of the world. In 1931, the Manchurian Incident broke out in Asia, and then the Soviet Union and Japan were to confront each other directly over the border. Comintern was threatened with the rising power of Japan, then it rebuked foreign comrades who do not understand ‘the close relationship between Japan’s attack against Manchuria and the preparation for the anti-Russia great war’. Comintern insisted that it should be necessary to mobilize the great mass of the people and most of all it should be necessary to resist shipping of the weapons and the military goods to Japan through every railroads and every port of the capitalistic countries. This is how Comintern instructed the Communist parties of every country to support China fighting against }Japan and to do the economic sanction against Japan. The Nazi regime was established in Germany in 1933. The Soviet Union felt threatened by the rising of Japan and Germany, which were against communism, and then changed the global strategy drastically. During the 7th Comintern conference held in Moscow in 1935, the conventional policy such as class conflict or world communism revolution was modified. Instead, a new instruction was given to all the communist parties in the world, which was to build up wide spread people’s front, cooperating with the capitalists or socialists in England or the U.S. in order to fight against fascism nations such as Japan or Germany. On the other hand, president Roosevelt established the diplomatic relations with the Soviet Union, against the will of Hamilton Fish, member of the house of Representatives, which is the conservatives. It was the Institute of Pacific Relations, largest thinktank about the Asian issues, that supported this People’s front in theory. Xi'an Incident broke out in China in December, 1936. Chian Kai-shek, leader of the Chinese Nationalist Party was forced into changing the policy by starting a war against Japan, along with Chinese Communist Party. On July 7, the Second Sino-Japanese War (Shina-jihen) broke out, triggered by the Marco Polo Bridge Incident. In July of 1937, when Marco Polo Bridge Incident broke out, the anti-fascism groups in the U.S. started a campaign of anti Japan and for China immediately. Anyway on the surface, the mother of President Roosevelt and Mrs. Marshall, wife of the Chief of Staff of the United States Army were the board members. But the reality was that it was an affiliated organization of the Communist Party of the United States. The other executive directors were ‘Russian spies’ such as Philip Jaffe or冀朝鼎. The Secretary General was Ms. Mildred Price. According to VENONA files, Ms. Price was a Russian spy along with her sister Mary Price, and used to report the classified information of the U.S. to the Soviet Union. ●The 7th stage ‘ Enforcing the policy to oppress Japan by the spies inside the government of the U.S. Opposing that, Roosevelt administration of the U.S. enforces oppressing diplomacy against Japan, with the background of public opinion against Japan which was formed by Comintern and Communist Party of the U.S..
President Roosevelt dispatched ラフリン・カリーpresidential aide to chiang kai-shek regime in March in 1941 and had conference with them about military support towards China. In the following April, カリーpresidential aide made a plan to attack all over Japan with about 500 fighters and bombers. This Air raid Operation called JB355 was approved by President Roosevelt on July 23th, which means that President Roosevelt instructed attack against Japan over 4 months before Attack on Pearl Harbor by Japan. According to a book ‘日本経済を殲滅せよ‘by Edward Miller, assets of Japan in the U.S. got frozen by the suggestion of Harry Dexter White, deputy director of research on finance in the ministry of finances. Then all the financial assets of Japan became worthless, which caused Japan to bankruptcy in reality. Not only that, White made an original draft of the ultimatum announcement against Japan in reality concerning negotiation between Japan and the U.S., which is called ‘Hull Note’, even though he was a government official of the ministry of finances. According to VENONA files, both カリーpresidential aide and White deputy director of research on finance in the ministry of finances were spies of the Soviet Union. This is how the war between Japan and the U.S. broke out in December, 1941. On 9th of December, 2 days after the attack on Pearl Harbor, Chinese Communist Party made an official statement ‘ The Pacific United Front against Japan was completed’. The strategy of the Comintern of the Soviet Union to destroy Japan using the U.S. became a reality 21 years later. As is seen above, what Comintern, Chinese Communist Party and Roosevelt administration did using ‘Russian spies’ did before, during and after the war are coming to be exposed to the light little by little, since classified documents such as VENONA files, Comintern files, and classified document of the Ministry of Foreign Affairs of Japan have been published. On May 7th in 2005, President Bush made a speech in Riga, the capital of Latvia, and made a statement concerning the agreement of the U.S., England, and Soviet Union in the Yalta Conference that the attempt to make sacrifice of freedom of a small country for the sake of stability brought about a result to divide Europe and bring instability on the contrary. He criticized it strongly, saying that it was one of the most serious mistakes in the history. Why was the criticism against Yalta Conference as one of the most serious mistakes in the history to shake the basic principle of the international order after the war? In February in 1945, President Roosevelt, Prime Minister Churchill, Marshal Stalin as leaders of these 3 nations, when they had Yalta Conference, given the agreement of Casablanca in January in 1943, 1) The United Nations to be established and the international order to be maintained by the leading of the winning countries of the war ( the U.S., England, France, Soviet Union, China). 2) Towards Japan and Germany, they will be prosecuted as ‘invading countries’ and they will be deprived of the military force and to be confined completely.. The reason why GHQ enforced The Constitution article 9 and the reason why they carried out Tokyo Trial, making a label such as ‘invading nations’ were all based on the basic principles which were confirmed in both the conference of Casablanca and Yalta. In Yalta Conference, they decided that Poland and Baltic States were to be recognized as Soviet sphere of influence as a reward for Soviet Union's agreeing on United Nations' Initiative. Also they concluded 'a secret agreement' one-sidedly which gives interests of Manchuria and Southern Sakhalin and Northern Territories which belongs to our nation to Soviet Union, in exchange for the war participation of Soviet Union against Japan without agreement of Eastern European nations or Japan. After the II World War, the Eastern European nations suffered from the control of Soviet Union, and Soviet Union occupied Manchuria after the surrender of Japan, the domestic conflict in China got intensified, and Chinese Comminist Party got established, the Korean peninsula got divided, and Soviet Union occupied the Northern Territories. All these things traces the cause to the Yalta Treaty. President Bush whose nation was the mainly involved in this issue criticized directly the starting point of the international order after the war, which was called ‘Yalta System’. It was quite exceptional that a president in actual office should criticize the diplomatic policy of his own nation in public, which caused controversy among the international society. On May 7th, President Bush, who made a speech in Latvia, stated that Yalta agreement was a mistake because the conference among the great nations ended up selling out the freedom of many small nations. President Bush criticized Yalta agreement because it brought millions of people in Central Europa and East Europa into captives. He stated that Yalta agreement would be remembered as one of the most serious mistakes in the history. 50 years passed until he made this statement. The statement of Bush confirmed that the negative legacy of Yalta agreement was to be buried eventually forever from now on. The advocates of Roosebelt tried to justify the cause, saying that they needed these concession was necessary in order to provoke Stalin into the war against Japan. The Yalta document proves that that argument was wrong. For example, three months and a half before the Yalta Conference, Averell Harriman United States Ambassador to Russia told Roosebelt that they got a complete agreement from Stalin that they will not only participate in the Pacific War but also entirelyparticipate in the war against Japan.